On Saturday 8 July, TILDA Research Director Christine McGarrigle spoke at the Citizen's Assembly, presenting TILDA evidence on "Creating Opportunities in Retirement, Evidence from TILDA". The presentation forms part of a meeting by the Assembly to consider how best to respond to the challenges and opportunities of an ageing population. 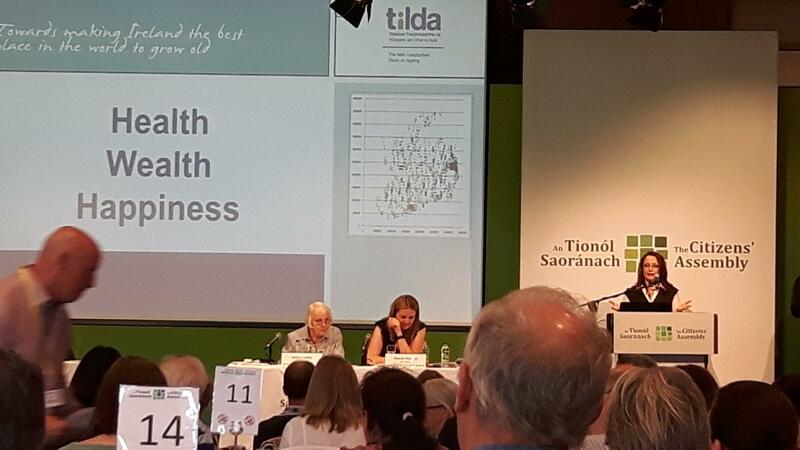 Dr McGarrigle discussed findings from the TILDA Wave 3 Report detailing the contribution that older people make to their families and communities. Her presentation was at 15.20, and can be viewed via a live stream here.